The most fundamental and tiresome task of a real estate agent is to find out new clients and leads, together with staying in touch with previous customers. !! Real estate agents have utilized various marketing strategies like social media, advertising platform, etc. to get new connections. But yet they have dropped a very effective means of doing real estate marketing? Guess what I am talking about. Email marketing provides a better, efficient and effortless way of doing marketing, where you get to target on much broader audiences by sending them emails. Want To Know How Email Marketing Could Benefit? Real estate agents and even real estate businesses can easily incorporate email marketing into their existing real estate marketing strategy by hiring email marketing service. Email marketing services provide high email deliverability so that realtors can be assured that their emails are delivered right to their clients inbox and enhance the relationship with them. Real estate agents can quickly update and inform their customers about upcoming projects and housing programs without facing any delay issues. The possibility of business with anyone can be executed only when you know about their behavior, since then only you can convert them into leads and then sales. Email service providers include email analytics and google analytics integration. Through this, a real estate agent can review about the website traffic generated through emails, simultaneously with keeping track on clients behavior. Every realtor wants to grow sales to boost up their business. Subscription forms embedding is one of the feature within email marketing campaign using which real estate agents can collect new prospects through their website and can nurture them to build strong brand loyalty long before a prospect is ready to buy. Realtors always try that they should reach their prospects and clients through any possible means. And so, email marketing services includes responsive email templates that allows creating emails that can accommodate to any size when viewed on devices like smartphones, tablets, etc. It is important for realtors to maintain professionalism. Email marketing services provides personalization tags, using which a realtor can personalize the subject line and content of emails based on clients field data. As more clients get connected with your business, it gets difficult to address each client individually. And so, with the help of drip email campaigns you can start the series of conversation with customers. You can set drips starting from welcome email template to sales template. Realtors have a busy schedule. Therefore, it is hard for them to stay connected with their clients. Autoresponder feature within email marketing comes here as a life saver through which email sending can automate that not only nurtures clients about your housing properties, projects, etc. but also feels connected with you. Study the list which displays some best-in-class real estate email marketing services that are most suitable for real estate businesses and real estate agents. 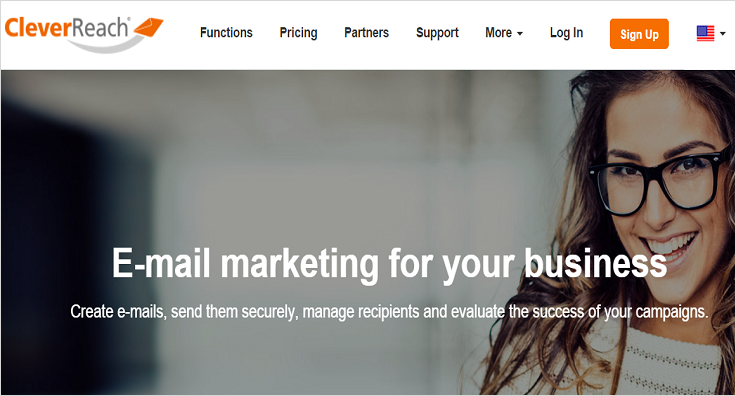 MailGet is one of the best and cheap email marketing platform. It provides a superb and affordable email marketing platform to real estate agents. No technical knowledge required for using their services. It has an excellent support system where you get a follow-up mail after getting registered, they provide step by step procedure to get started, monitors your campaigns and guide you to get the maximum benefit. Email Template Builder – An easy to use drop and drag email editor through which you can create responsive email templates in few seconds. MailGet comes with a 99% inbox email delivery rates by assuring that your sent emails will surely make it to the recipients inbox. List Management – Create and import contacts with efficient contact synchronization system. List Cleaner – Verify and validate all your clients email addresses. List Segmentation – Segment your customers on some common parameters. Drip Campaign – Schedule email campaigns to trigger at different timings. Autoresponder – Send automated emails to your customers. Email Inbox Preview – View your email before sending to your clients. SMTP Integration – Get high open rates and inbox deliverability by connecting with multiple SMTP services like Mandrill, SendGrid, MailGun, etc. Subscription Forms – Grow your customer list by embedding email sign up form in your website. 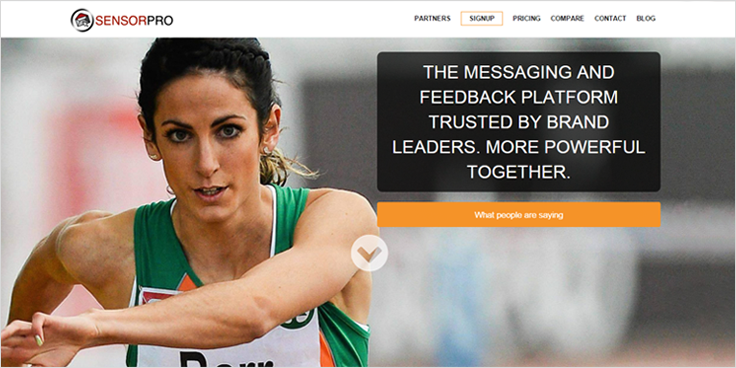 Email Tracking – Track success and user response towards your email campaigns. Google Analytics – Track your user behavior. You need to pay $29 per month for sending emails to 10,000 contacts. $49 per month for 50,000 contacts. $79 per month for 1,00,000 contacts. You can choose a yearly plan also with 2 months free subscription. Mail Marketer is a comprehensive and efficient email marketing service. It was started with the primary intention to provide entrepreneurs, marketers, real estate businesses and online retailers with an efficient email marketing platform. Built in spam checker to identify whether the email will mark as spam or not. Mail Marketer comes up with a Monthly plan and Pay-As-You-Go plan option. They charge around $42 per month to send emails to 50,000 contacts. 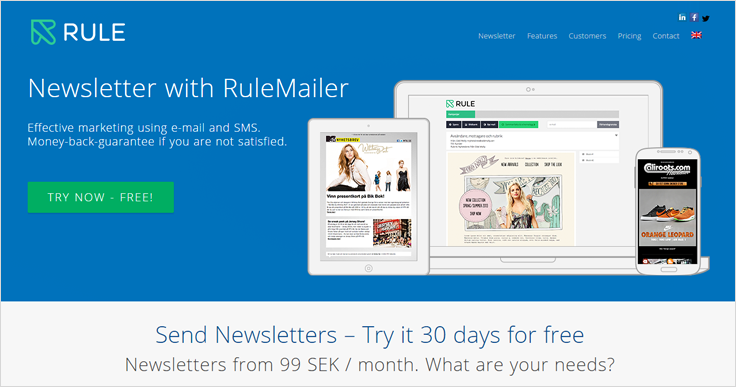 RuleMailer is a Swedish company that provides services for email marketing and SMS marketing. It provides a marketing floor where any organization and individual can set up email marketing for their business. To know about the pricing, you need to signup. SensorPro provides a marketing platform from where you can do email marketing, inbound marketing, do SMS and surveys simultaneously i.e. a kind of multi-marketing platform. Thier email marketing service is among the best email deliverability services and suits best for real estate marketing. Sensor Pro provides you to send emails to 2500 contacts free while they charge accordingly to Pay As You Go. For instance, they charge approx $0.015 per email up to 2,50,000 contacts. With an increase in contacts, the prices go on decreasing. 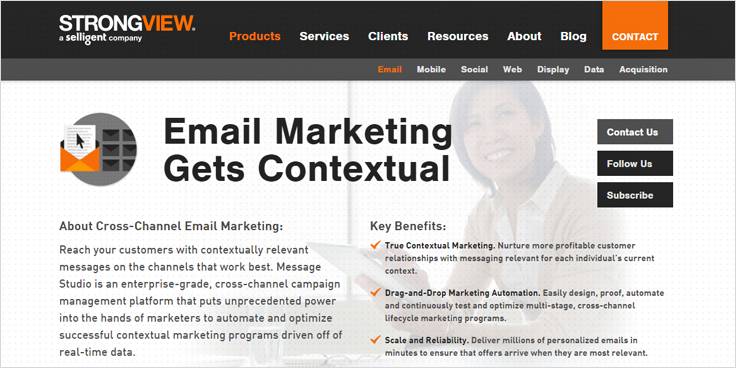 Spently, another big name in the category of email marketing service providers. Spently holds services through which you can efficiently work on driving email marketing for your business. Spently charges around $269.99 for sending emails to your clients and with further increase in clients you need to pay less. Strong View presents an all in one marketing platform from where you can plan multiple marketing programs. With their world-class services, you can do email, social, mobile and web marketing on one centralized system. StrongView presents a superior email marketing service for real estate businesses and real estate agents. To know about pricing plans, you need to contact StrongView. 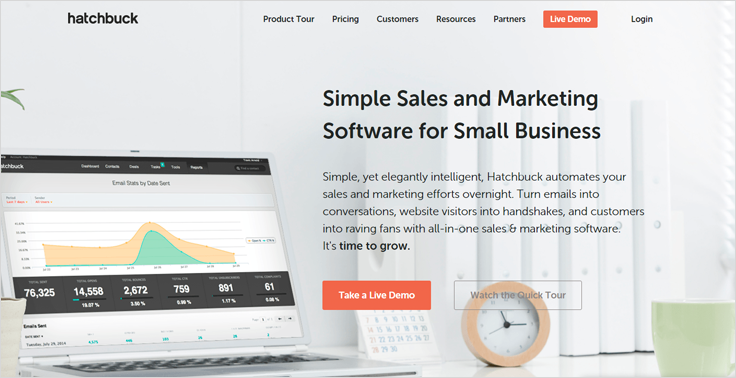 Hatchbuck provides software through which small and mid-sized businesses can do sales and marketing. It provides email newsletter service, marketing automation service, email marketing service, etc. with which business organizations and real estate business can boost their existing marketing strategy. Hatchbuck offers various subscription plans like you have $79 per month plan, $159 per month plan and $239 per month plan. 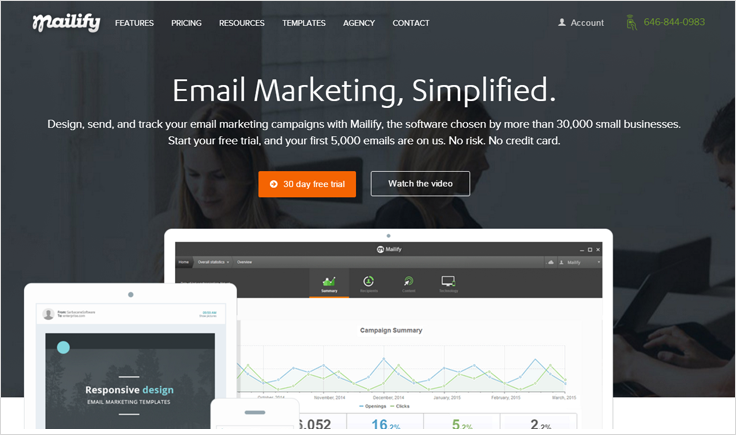 Mailify provides a robust and open email marketing software. It has incorporated several marketing features through which running email campaigns becomes a lot easier task. With all that, support staff of Abilify is also tremendous and provides an excellent guidance to any new user. Mailify has two types of plans namely- monthly and yearly plan. If you go for sending emails to 50,000 contacts, it will cost you around 169$ per month and $600, in case you opt for an annual plan. CleverReach is a big name in the category of real estate agent email marketing companies. It includes some mind blowing email marketing features that every realtor would like to implement with their existing real estate marketing strategy. CleverReach charges according to the number of contacts. As for sending emails to 10,000 contacts, it cost you around $92. 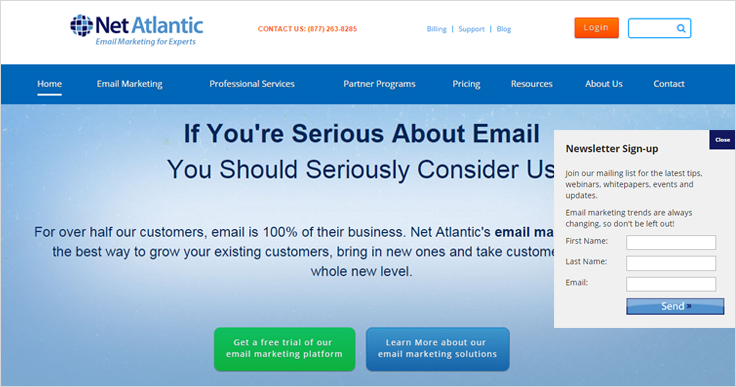 A big name in the branch of email marketing service provider is Net Atlantic. It offers some great email marketing tools to design, send, manage and track email marketing campaigns. Real estate agents and real estate businesses can also use their email marketing service. Net Atlantic do charge you according to the number of contacts on your list. Just take, if you want to send emails to 50,000 contacts, then it will cost you $220. Do you have suggestions of your own? Share in the comments section below! – I’d love to hear about it! 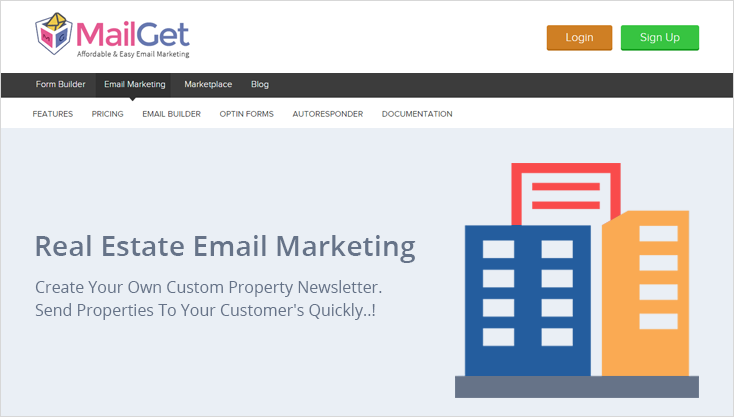 Try MailGet – email service provider which best suits for realtors. 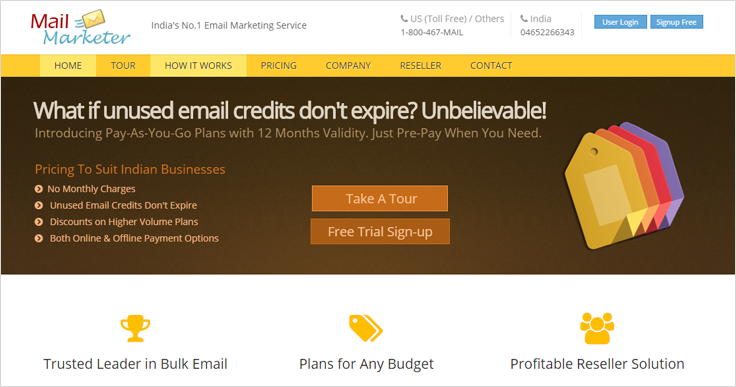 10 Cheapest Email Marketing Services.